Item may be returned within 7 days for money back. The return shipping is the buyers responsibility. Item must be returned as it was packaged. We will not reimburse shipping costs. If item was damaged in transit, we will be happy to work with the shipping company for you to get it corrected. We will do everything possible to make sure you are happy with your product. We are ver proud of our craftsmanship. Each piece is carved and signed by the Artist, Monte Spinker. Please feel free to ask us any questions. Thank you! We prefer to use FedEx, but will also use UPS or USPS. If you need an item quickly, please contact us and we will work with you to expedite shipping for you. If you are willing to pay overnight shipping, we are happy to do this for you. If you have any questions, do not hesitate to contact us. Thank you. Monte Spinker is the Artist and Master Carver for these wonderfully unique and whimsical birdhouses. Monte has been carving for approximately 20 years and lives in the Cedar Creek Lake area in Texas. 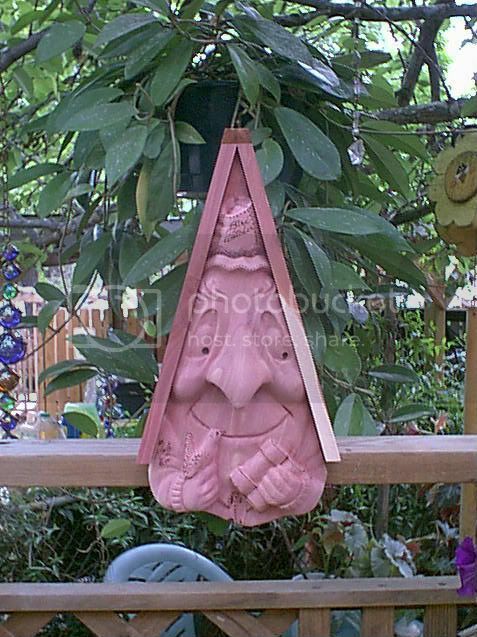 Monte carves numerous things, but the birdhouses have brought him the most recognition. Besides the birdhouses, he also carves, ducks, loons, shorebirds, geese, Santa's, St. Francis Monk, cowboy boots, walking sticks and canes and so much more! All of the birdhouses are made from cedar and will weather well outside. Cedar will gray with time. You may use a water sealant to slow the graying process. Monte Spinker is the Artist and Master Carver for these wonderfully unique and whimsical birdhouses. Monte has been carving for approximately 20 years and lives in the Cedar Creek Lake area in Texas. Monte carves numerous things, but the birdhouses have brought him the most recognition. Besides the birdhouses, he also carves, ducks, loons, shorebirds, geese, Santa's, St. Francis Monk, cowboy boots, walking sticks and canes and so much more! All of the birdhouses are made from cedar and will weather well outside. Cedar will gray with time. You may use a water sealant to slow the graying process.